Reader Phil Murray has in his possession two interesting handwritten documents that he wants to preserve for the future. The first is a handwritten copy of a story of one family’s experience during the American Revolution. It had been copied by a member of that family from a newspaper article printed in South Carolina in 1853, and lovingly preserved tucked inside the covers of the family’s Bible. Both of these documents came into Phil’s hands directly from descendants of the family involved. He wants to make sure that they can be protected and preserved for researchers within and without the family in the future. First off, The Legal Genealogist offers Phil hearty congratulations for wishing to preserve and secure future use of these documents. And Phil deserves even more hearty congratulations for thinking about the copyright implications in the first place. Donated materials aren’t any different from any other types of materials in that critical respect: there are copyright considerations, and any archives or library that accepts donations is going to want to work with the donor to resolve any copyright concerns that might exist. The book of medicinal recipes was never published, so it has to be analyzed in terms of the rules for unpublished works. And, under American copyright law, the maximum term of a copyright for a work like this one, created before 1978 and never published, is now the lifetime of the creator plus 70 years.9 And unless the author of this particular work — written in the early 1800s — is some kind of superhuman, there’s no question he’s been dead far longer than 70 years. But if you’re sitting there this morning anywhere where the Stars and Stripes fly overhead, these old unpublished materials are now, officially, in the public domain. So we don’t even have to get into the question of whether Phil has, or could acquire, ownership of the copyrights here. There simply aren’t any copyrights — and no copyrightable work — involved at all. He and the archives he chooses are and will be the caretakers of the physical items only: there are no other legal rights to worry about. You are always right on time. I have been working a bio with a donated manuscript…Vulcan mind meld? Don’t thank me — thank Phil for asking the question! Although the two manuscripts are not themsleves copyrightable, any additional material written by Phil, himself, such as an introductory biography of the pharmacist, an explanation of the historical context behind the original writings or their survival, or even footnotes, could qualify for a copyright as Phil’s own original work. 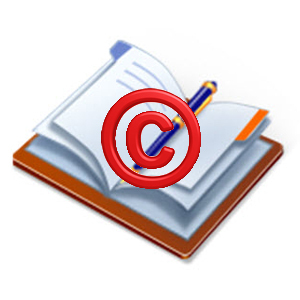 There can be multiple layers of copyrights protecting different parts of a single book. Of course but — and this is a BIG but — the copyright only covers the new materials produced by Phil and not any portion of the original materials. As I’ve written repeatedly in the past, the Copyright Office could not be clearer on this: you can not get a copyright that bars anyone else from using the underlying materials that are now out of copyright. Absolutely! I didn’t mean to imply that Phil should add a few paragraphs for the purpose of trying to “game” the copyright system, just that we should remember never to assume that if the underlying materials are in the public domain, then any accompanying materials an editor has created must be automatically in the public domain as well. That’s true — what Phil writes is copyrighted automatically by Phil. Great piece. I have taught copyright law for 30 years (and am retiring in four weeks), and it’s always good to see accurate statements since there is so much misinformation out there. I enjoy your blog all the time, but am especially interested in the areas where copyright and genealogy intersect. I’ve only been doing genealogy since last summer. If you ever want to chat about copyright issues, please let me know! Thanks very much for the kind words, Amy!